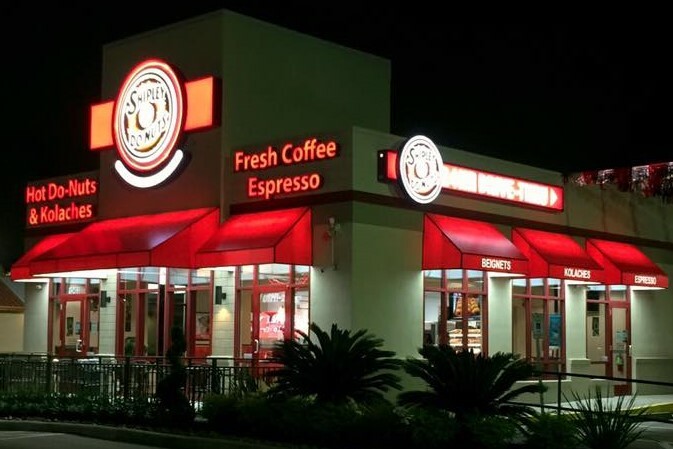 With the wide variety of food Houston has to offer, you need to try the new look of our Houston donut shop. Donut shops are great, but we like to go the extra mile. Our cooking isn’t the only thing that brings customers in. Our shop has a little magic to it as well. So, what makes us so different from the rest? Our donuts not only taste good, but look good too! During holidays, we like to make our donut selections fun and festive. We decorate them to make them put a smile on your face, while also putting a smile in your stomach. Our Pokemon Donuts, as well as other fun and cute designs, fill our shop. There’s more options to choose from than the same old selections. That’s right, we have a Coca-Cola Freestyle. Now, you don’t have to limit yourself to having one simple drink. You can spice up your selections. Take a drink with your donut, kolache, or New Orleans’ beignet with you. And you can also mix it up to go with your food selection. We’re here to help you keep all your options open. Ah, yes. The lovely four words “we have free Wifi”. It’s the 21st century and everything relies on the internet. So whether you’re updating and checking in to our shop on Facebook or sharing a photo on Instagram, we’ve got you covered. Our free WiFi is also great for when you have homework or a heavy work load but want to stay out of your office or room. So when you want to escape, but need to connect to the internet, you can enjoy your time here. Did we mention we have donuts? Our new location is a 24 hr donut shop, which truly means donuts at any time! As mentioned above, you can always come and enjoy your time, even if it’s just to get work done. Whether you need to study for a test at 2 in the morning or are just getting off a late night shift, we’re open and ready. Houston is a big and busy city. There’s too much going on to limit your time. Now you can enjoy our donuts anytime you want! Ever wish you could just push a button and, boom, a donut appears? Well, we’re not that advanced to teleport donuts, but we certainly deliver. Whether you’re stuck behind your office desk or at home, we can send our delicious selections your way. Just another step to the future of donut shops. We like to go the extra mile when it comes to our Houston donut shop. If you want to see just how great we really are, just stop by and grab yourself something to eat. Call us at (713) 589-3292 or order online for a store pickup today. Don’t eat donuts the normal way. Eat donuts the Shipley way!